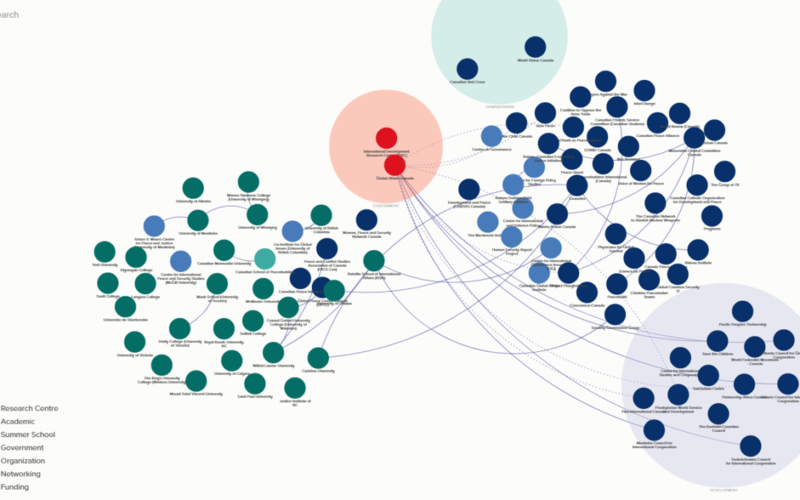 A team of graduate students at the Balsillie School of International Affairs in Waterloo has been working on a mapping project aimed at developing a more comprehensive understanding of the shape and scope of Canada’s peace sector. 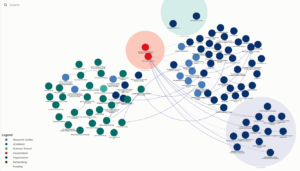 While the map remains a work in progress, we invite feedback from PACS-Can members and supporters on its shape and content – the map is available through the Kumu web platform here. Please send your feedback to info@pacscan.ca. 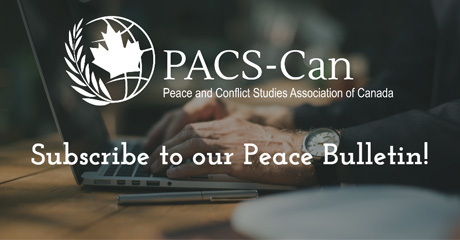 For an up-to-date directory of peace and conflict studies and other related programs in Canada, click here.